Matt Brunt | En Avant! We were very sad to learn that our friend, and former Assistant Director of pteg, died peacefully in his sleep at the weekend after a long illness. Here are a few extracts from what we said to Matt at his leaving event following on from his cancer diagnosis. ‘Matt’s chosen profession has been public service, in local government, in urban policy in particular. Some people seem to imply that local government and public service is somehow second rate, shouldn’t be valued. And like any career choice it has its challenges and frustrations. But what is the work that Matt chose to do all about at root? What it’s not been about is selling more mars bars, or abandoning your beliefs and values just to make as much money as you can or to get up the greasy pole. What it’s been about is that Matt has wanted to make his contribution to making our cities greener, more dynamic, fairer, more exciting and just plain better places to be. And what’s that ultimately about? It’s been about seeking to make the world a better place. And that says something about Matt’s character. We also promised Matt that he may have been leaving pteg but pteg wasn’t leaving him. 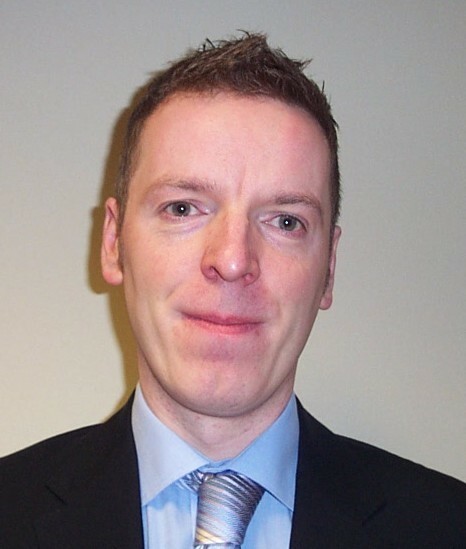 And we know that Matt valued the support that he received from former colleagues throughout the pteg network, but also from the wider policy community in which he worked during his career. Following his medical retirement Matt was also able spend time with his family and friends and enjoy a generally good quality of life, considering the nature of the illness. Matt was a good man and he will be sadly missed. Our thoughts are with his family. Over the coming year, members of the pteg Support Unit team will be getting out and about to visit and learn from key transport projects and organisations. First up, Matt Brunt, Assistant Director visits Midland Metro in Birmingham. Before today’s trip, I had travelled on Midland Metro once, but for a short trip and in the middle of winter. This time I was accompanied on my journey by the Programme Director, Paul Griffiths, and Mark Ashmore, Metro Health and Safety Manager from Centro. The current line, running from Snow Hill station on the edge of Birmingham city centre through to Wolverhampton, is unobstrusive and echoes the branch-line feel that the route presumably took over when it first opened in 1999. Well used and well run, it has recovered from some early teething problems – not least of which the somewhat novel approach to vehicle assembly used by the suppliers of the first fleet, where trams were built in a series of separate Italian factories, resulting in sixteen slightly differently configured vehicles. 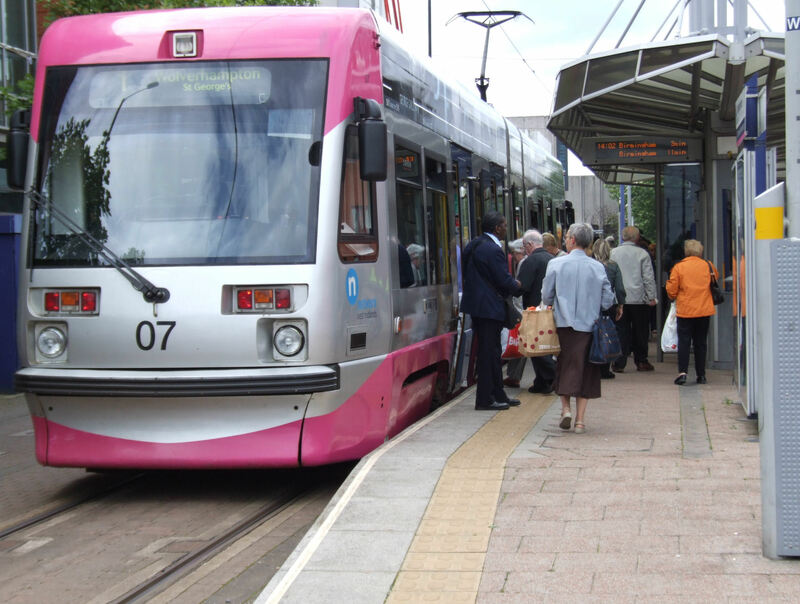 At present, the Midland Metro is perhaps one of the lesser known tram systems in the UK. However, this will change with the implementation of the second phase of its development. A £128m scheme will see the extension of the tramline onto the streets of central Birmingham, penetrating into the heart of the city, as well as a new fleet of trams and an extended depot facility. 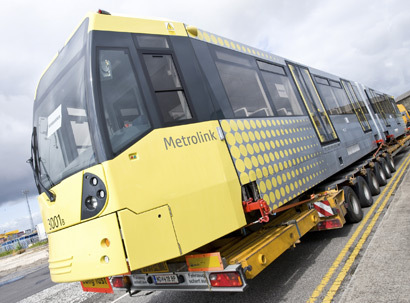 Final funding approval has now been given and plans are moving towards implementation over the next few years, with the city centre extension and full new tram fleet due in service from 2015. The plans for the city centre route are impressive. Dovetailing with the New Street Gateway project (which sees New Street Station undergoing a £600 million transformation) the trams will bring a very different feel to the city centre. 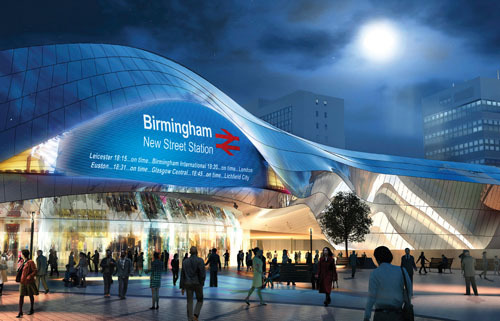 The route from the new station entrance will run along Corporation Street (one of the main shopping streets in the city) and then join up with the line at Snow Hill, making a huge impact on the area and bringing the ‘sparks effect’ to the centre of Birmingham. The Snow Hill tram stop itself is being moved to bring the trams ‘up’ to street level and run parallel to the nearby high quality office development. It is clear that the expanded Midland Metro will dramatically shift the visibility of the system and the profile it has. 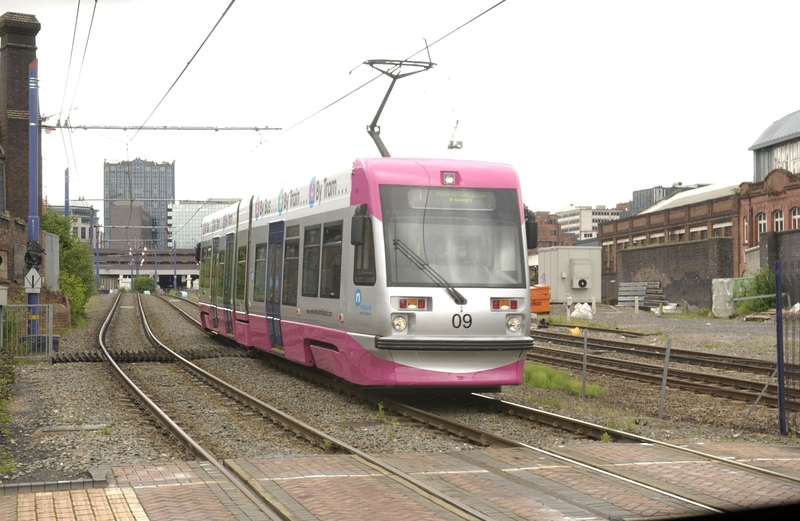 Moving ‘on-street’ into the city centre is certainly not without its challenges, but hopefully these developments will see Midland Metro come into its own. 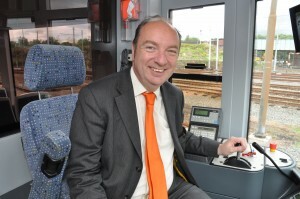 Norman Baker has long been an advocate of light rail and it is good to see this enthusiasm translated into government thinking with the publication of ‘Green Light for Light Rail’. This document sets out the government’s view of how costs in the light rail industry could be reduced. The report follows on from a number of reports reaching broadly similar conclusions from the Transport Select Committee, the National Audit Office and pteg‘s joint report with the All Party Parliamentary Light Rail Group. So what difference will it make? At the heart of much of the debate in this report (and in previous attempts to get under the skin of light rail and its perceived high costs) has been the lack of leadership from the centre. Baker’s report addresses this to some extent. This represents a welcome shot in the arm for promoters and the industry – whose key ask for some time has been for government to take light rail more seriously and actively champion it. Put together with the other recommendations it is possible to see how over the medium to long term it will increase the likelihood of more tram schemes coming on line and at a lower cost. However, the report is not a McNulty style value for money analysis. Given the difference in scale of support between this work (essentially carried by one civil servant with support from the industry) and McNulty (with its teams of support and big consultancy budget), that is hardly surprising. It can also be argued that light rail is a relatively more complex area on which to draw conclusions, given the variety of operational schemes with their different characteristics (as the report notes ‘no two schemes are directly comparable’). There are some good ideas in the report around processes, project management (particularly given the Edinburgh experience) and industry capabilities which may well impact on costs, albeit at the margin. However, issues such as standardisation alone will not produce significant savings, given that tram projects are driven by local transport authorities with differing needs (combined with the emphasis more widely by government on localism) and will have separate procurement processes. Critically without a long-run of schemes, and therefore vehicles, costs for trams themselves are likely to remain relatively higher. It could be argued that there is nothing surprising about the costs of light rail schemes in the context of the UK, particularly given the delivery models (PPP and PFI); the stop-start nature of the flow of work; and the very nature of most tram systems which require substantial sections of on-street running, which in turn mean that the associated costs of urban realm improvements and utilities diversion are largely unavoidable. That is not to say that more cannot be done to improve things and thereby reduce costs. However the key difficulty in promoting light rail schemes and getting them off the ground is connected to the availability of funding. This is an area that the Baker report does not seek to address (nor was it in the terms of reference). However it is plain to see that the high levels of delivery we see in mainland Europe are more about the ability of local transport authorities to raise their own finance and make decisions locally on how it is spent. We simply do not yet have the means of emulating that local freedom and accountability in this country. This is something the government is aware of. It has already made noises about devolving funding to the local level (through the local major capital schemes), partially reviewing local government finance (through the business rates review), and supporting initiatives like Tax Increment Financing. It has also recognised the critical importance of infrastructure investment to its aims of economic growth and carbon reduction. Green Light for Light Rail is therefore a good attempt to summarise the issues around costs and helpful in directing government and industry attention to those factors which may give rise to higher costs (and some of which may have a more marginal impact). This may in turn increase the number of schemes coming forward. However, the fundamentals that lie behind the relatively difficult and intermittent development of UK based tram schemes and the associated costs are more connected to the lack of a sustainable funding stream for light rail. A key theme therefore for the Minister to take up at his proposed ‘tram summit’ will be how to create a steady flow of schemes that can sustain a UK based industry and how transport authorities can be given the wherewithal to fund future tram systems. This article was first published in Transport Times.